The organization expects, via op-eds and lobbying efforts, that Americans will forget or overlook its ties with terrorism. MEMRI reports that the Muslim Brotherhood has begun intensive lobbying to stop the United States from declaring it a terrorist organization - and the Brotherhood is acting on the public relations front as well. Gehad el-Haddad, official spokesman of the Muslim Brotherhood (MB), was allowed to write an op-ed in The New York Times explaining why his organization is really not so bad and is actually quite peaceful. "We are not terrorists," writes El-Haddad. "The Muslim Brotherhood's philosophy is inspired by an understanding of Islam that emphasizes the values of social justice, equality and the rule of law." The author's first name, incidentally, is more correctly spelled "Jihad," according to the "Arabic names" section of Babynology.com. MB's lobbying efforts, according to MEMRI, include, "Launching a widespread informational media campaign, including the hiring of U.S. lobbying and legal firms, outreach to the press in the U.S., and dissemination of informational content aimed at improving its image in the West, particularly in the U.S.. [The purpose is] to convey that it is not a terrorist organization, but rather an ideological movement whose methods of operation are peaceful." Judith Bergman, writing for the Gatestone Institute, emphasizes the central role of sharia in MB ideology and strategy. The Brotherhood's spiritual leader, Yusuf al-Qaradawi, speaks much of dawa, the Islamic call to conversion, and gives it a very universal slant: "We will conquer Europe, we will conquer America! Not through sword but through Da'wa," he told Muslim youths in Ohio back in 1995. And in 2007, he explained further that the aim of this conquest consists mainly of the introduction of Islamic law, sharia. The strategy is that sharia should be introduced gradually in new countries over a five-year period, before its full implementation. 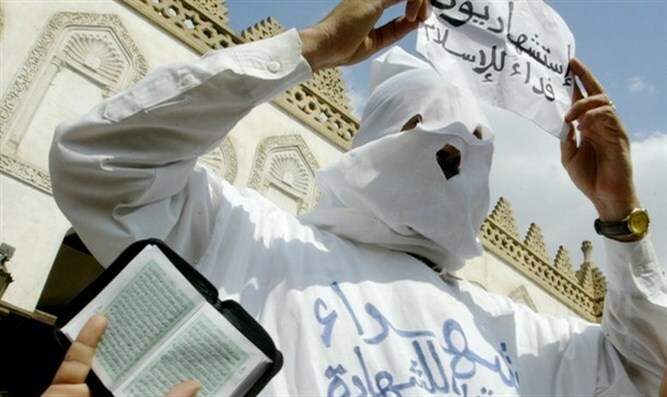 Sharia includes "blasphemy laws" that contrast with free speech, as well as the oppression and beating of women, killing apostates, polygamy, chopping off hands for theft, and the persecution of Jews; Qaradawi himself has advocated killing all of them. MEMRI has detailed a long list of lobbying efforts by MB officials and lobbyists to ensure that it is not designated a terrorist organization. An extreme step involves Hamas, the Gaza-based organization widely recognized as a terrorism organization. Article Two of the Hamas charter states that it is "one of the wings of Moslem Brotherhood in Palestine" – and Hamas is now apparently working on a new charter that would deny this connection. MEMRI also cites a Saudi Arabian report stating that MB is paying an American lobbying firm $4.8 million to help it establish ties with Trump administration officials and improve its image in U.S. media. The contract reportedly includes organizing meetings with officials, publishing articles in American media, and providing media platforms for MB officials. The American firm employs dozens of former White House and State Department staffers with extensive ties to Congressmen and political and strategic research centers. "The Muslim Brotherhood evidently considers the West filled with utter dupes, willing to take anything at face value that is served up to them," Bergman concludes. "One can hardly blame them. The West has swallowed whole the propaganda of Islam as a 'religion of peace.' Why should the U.S. not buy the equally false idea that the MB is a non-violent, pluralistic, social justice movement?"